Funds will help us to provide family-friendly entertainment, including world music from a collection of latin, jazz, and roots bands as well as other activities for children. Funds will also allow us to keep Viva La Comida a FREE event for everyone. Viva la Comida! 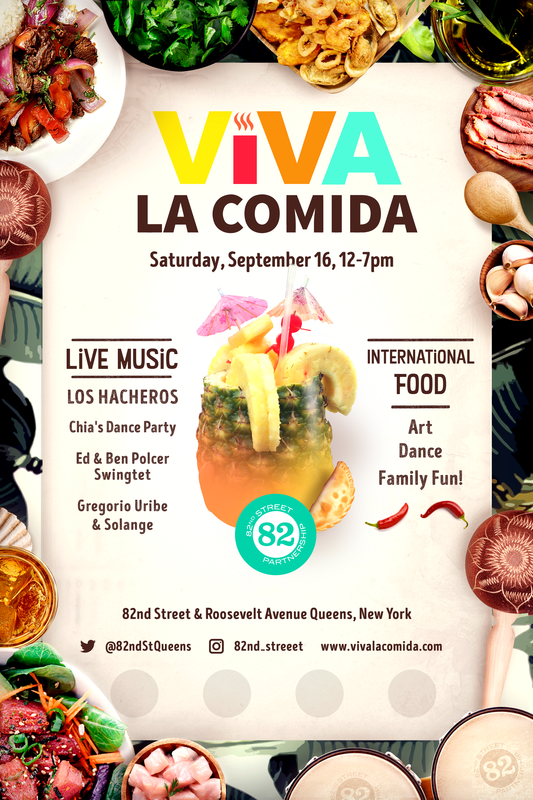 is a festival highlighting the cultural diversity of Queens, combining food with music, art, dancing, entertainment and more on a street known for its outpouring of vibrancy. With local food vendors, an art exhibition, an open market atmosphere, and dancing amid live music, Viva La Comida is a pure celebration of what makes this diverse community the heart of the city.